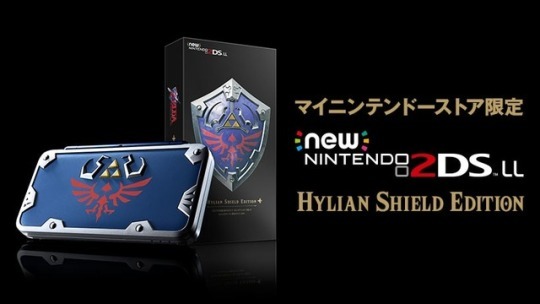 The New Nintendo 2DS LL Hylian Shield Edition, which until now has been exclusive in the West, is coming to Japan. 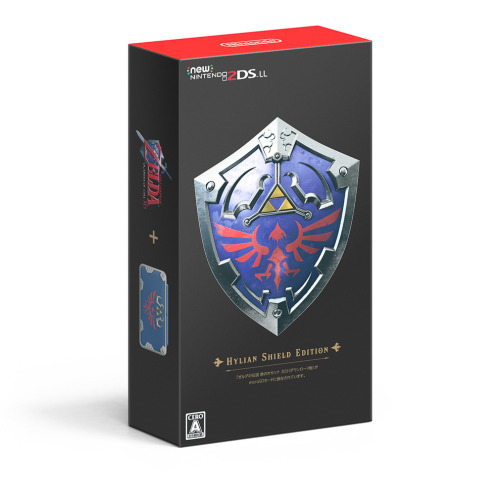 Unlike the Western version, the Japanese version will come with The Legend of Zelda: Ocarina of Time, instead of The Legend of Zelda: A Link Between Worlds. Preorders have already started on the Japanese My Nintendo Store until 3 September 2018 at ¥17,258.